Ah, pearls. Those gorgeous, lustrous, perfectly round jewels that seem to glow and shimmer with an internal light, like a full moon, or a lightbox, or a text message that wakes you in the middle of the night. 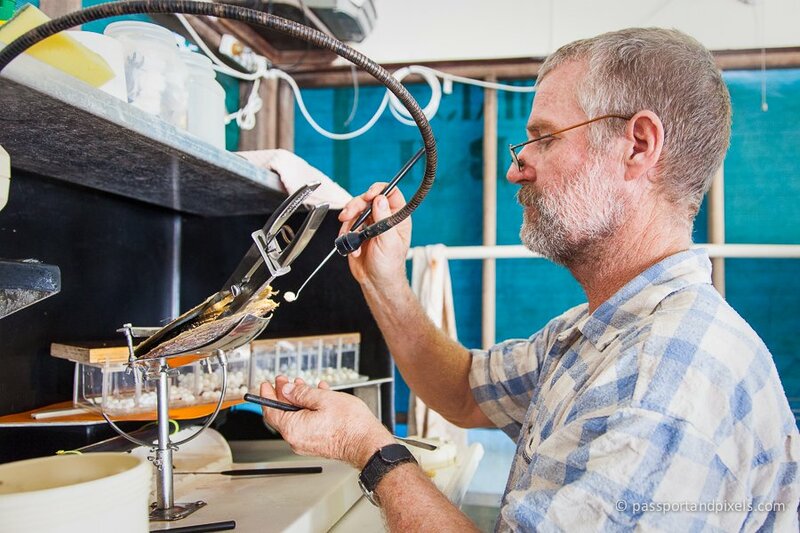 We’ve all seen them, some of you may even have some – but how much do you really know about how a pearl is made? Ok, most people know that pearls come from oysters, but how did they get there? And how come they are so perfectly round? 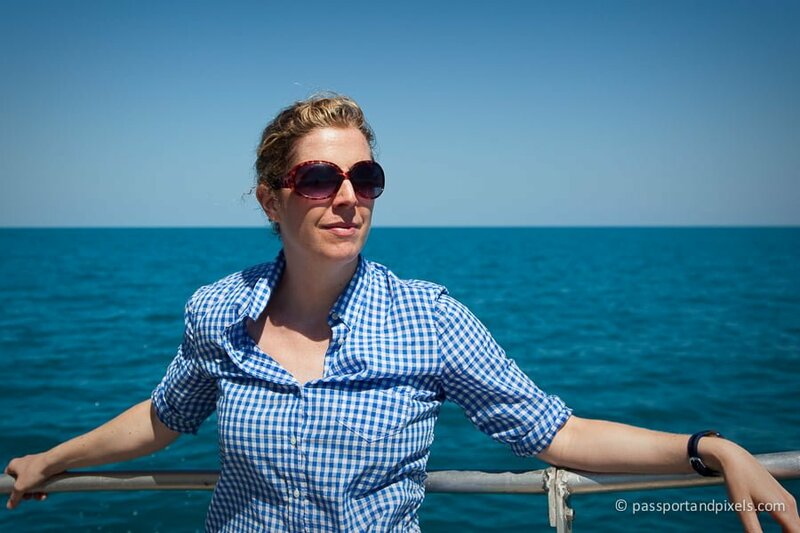 A while ago I was lucky enough to go filming on a pearl farm in North West Australia for a BBC documentary about the earth’s natural treasures, so I was able to find out. 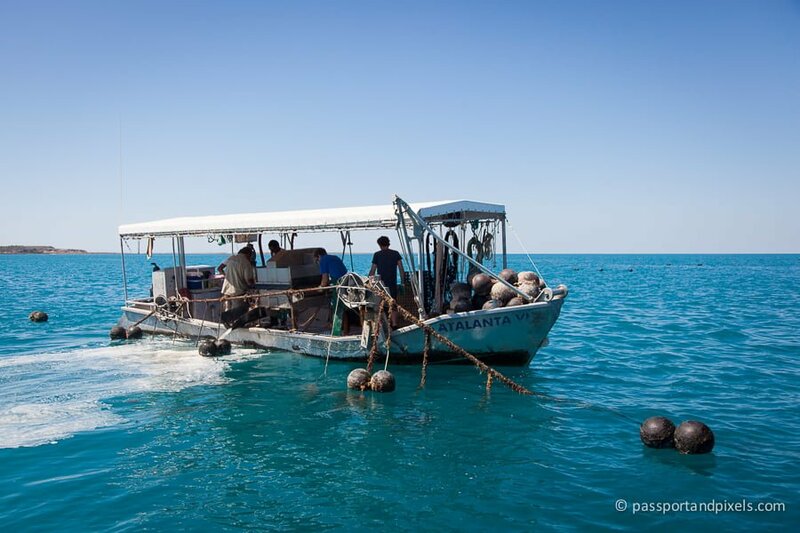 The pearl farm in question was Cygnet Bay Pearl Farm, about two hours drive north of Broome on Australia’s Dampier Peninsula. 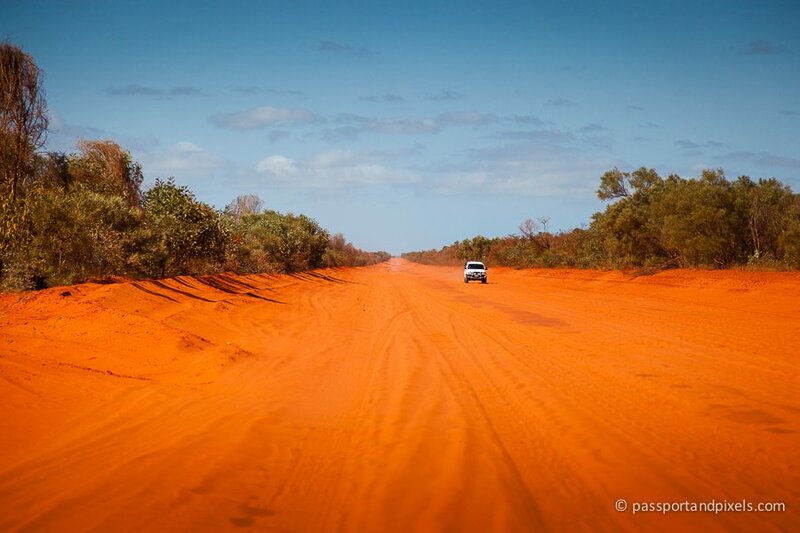 To get there, we needed to fly from London to Perth, then change planes again and fly to Broome, and then pick up a 4×4 rental car and drive for two hours along this incredible, bright orange sandy track. It was a bit of an epic mission to get there, but so worth it! 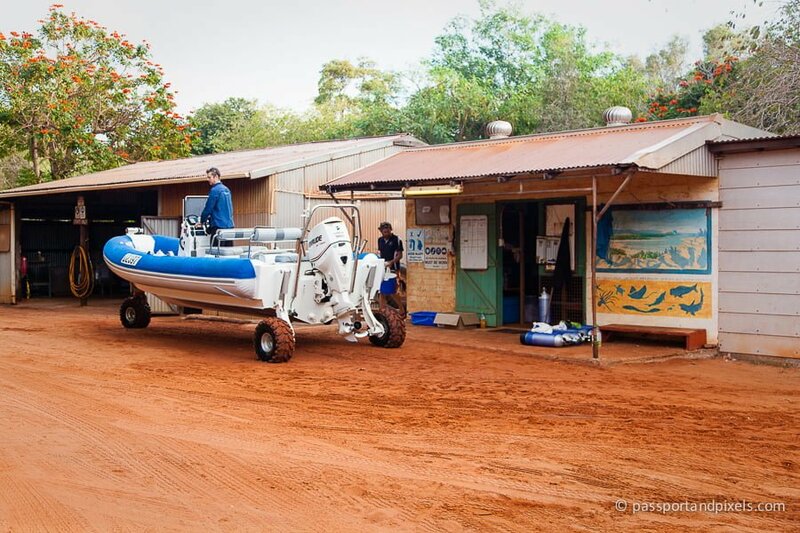 For somewhere that produces some of the most valuable natural treasures known to man, Cygnet Bay Pearl Farm really doesn’t look all that glamorous! It’s really just a cluster of farm buildings and huts on the water’s edge, all of which are coated in that same Australian orange dust. Weatherbeaten guys with salty hair, wearing wraparound shades and board shorts wander about in the sunshine, and really the only clues to the fact that this is a working farm and not a travellers’ commune are the stacks of scuba tanks and the amphibious vessels parked out front. But what they lack in glamorous facilities, they more than make up for with the best of Australian scenery. 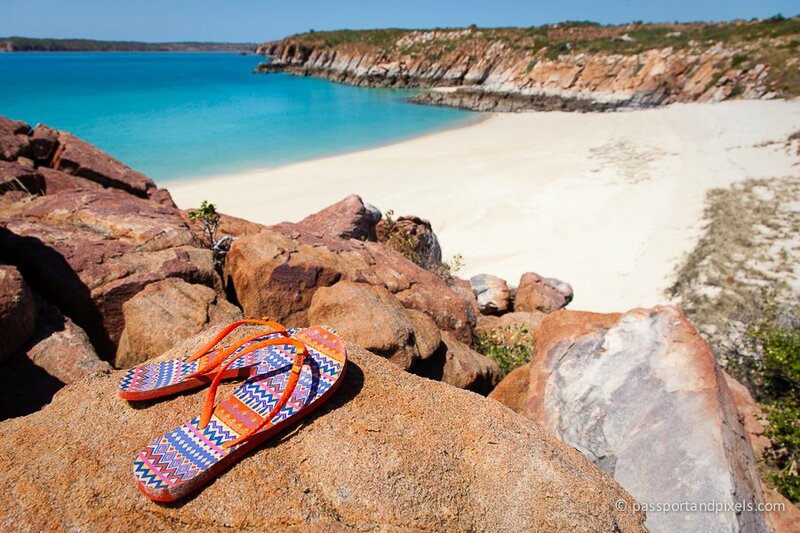 Forget the pearls, the area around the Dampier Peninsula is a natural treasure all by itself. 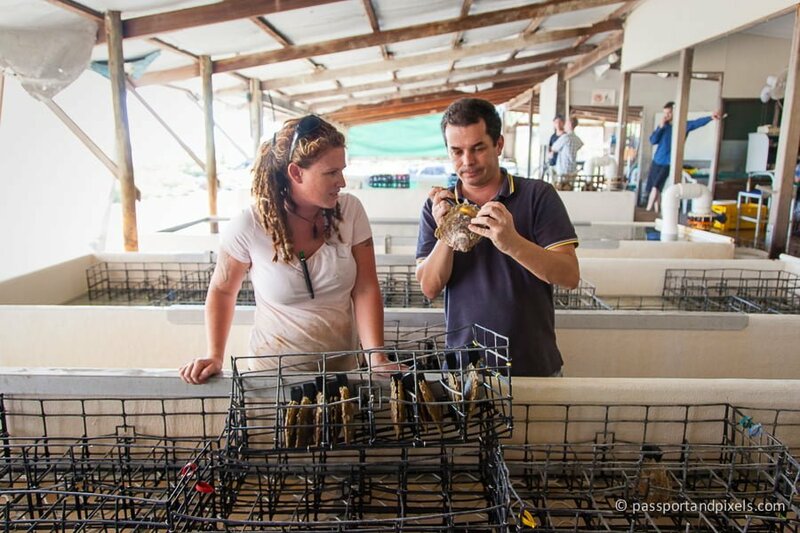 Cygnet Bay is actually just one of several pearl farms in this part of North West Australia – and there’s a very good reason for this. 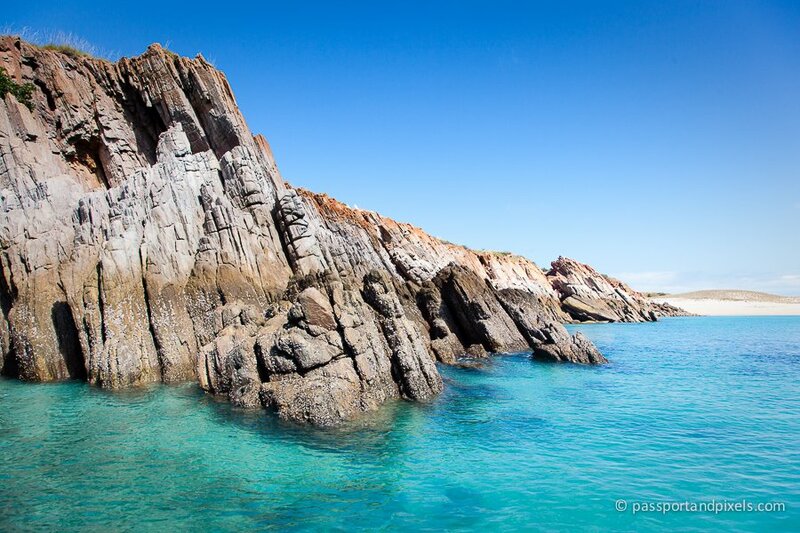 This area has the biggest tropical tides in the world – up to 12 metres from low to high. 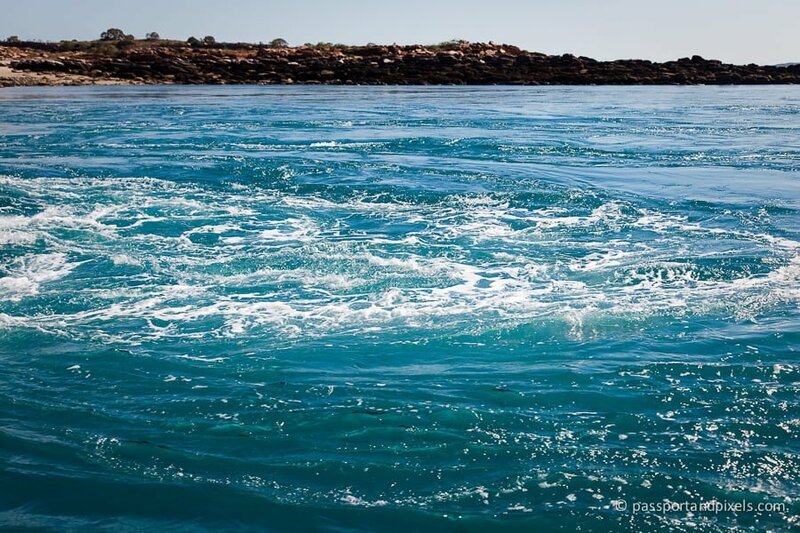 As the tide turns, the water rushes in and out through the narrow bottleneck between Australia and Indonesia, creating huge waves and whirlpools, and bringing in masses of nutrients from the open ocean. These nutrients are perfect for feeding hungry oysters and giving them the nourishment they need to grow perfect cultured South Sea pearls. Once we’d recovered from our journey, we were taken out in one of the amphibious vessels for a quick look round. The ‘Sealegs’, as they are known, are basically just boats on wheels. You climb on board (with some difficulty as they’re quite high), and then the boat just drives down to the water’s edge, straight off the beach and into the water, and then keeps going! 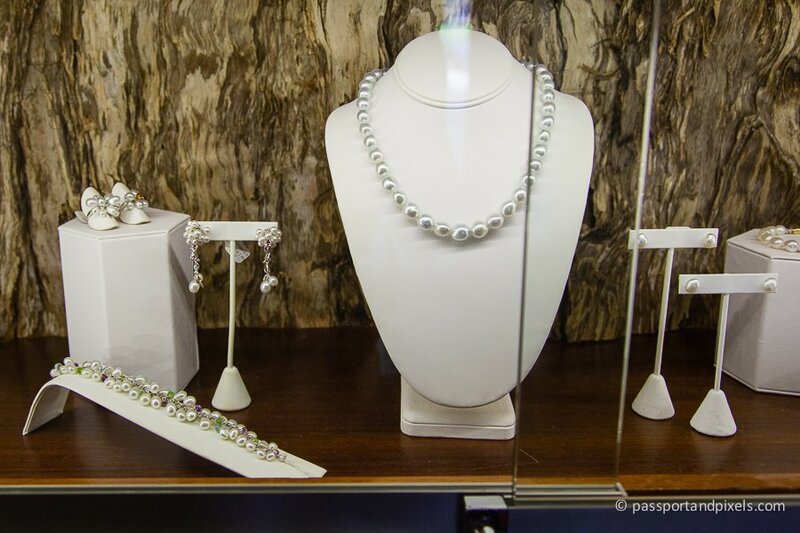 But this wasn’t just a jolly holiday – we were there to make a film all about how cultured pearls are grown. And apart from a few in a display cabinet in reception, we hadn’t seen a single one. Or any oysters, for that matter. So where were they? Here, is the answer. 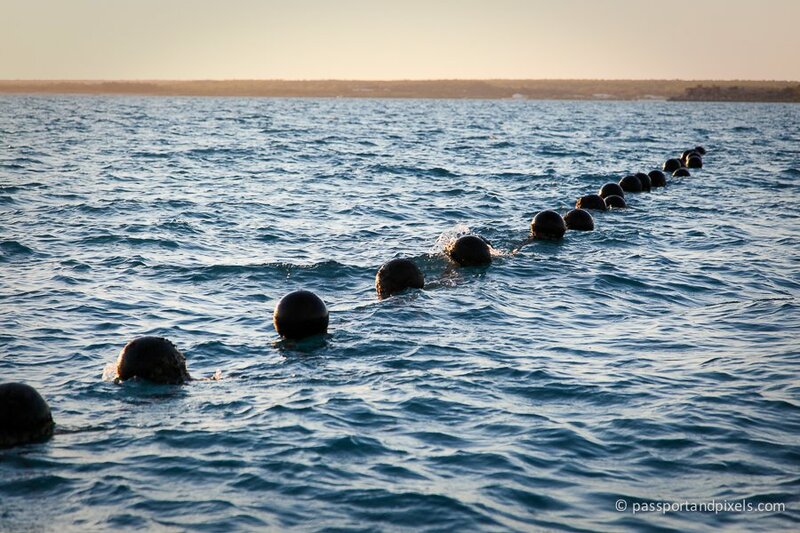 This row of buoys may not look like much, but each one is carrying a secret. Suspended underneath it, at the perfect depth for all those lovely nutrients to wash over it, is a rack of up to ten oysters, each one busy growing a South Sea Pearl that could be worth up to £2000. There are about 20 buoys in this photo, so that means there could be as much as £400,000 worth of pearls sitting right there. Don’t look quite so boring now, do they? As the sun set, we stopped off on a small island made entirely out of broken shells, to do some filming. See, proof that we were indeed working! 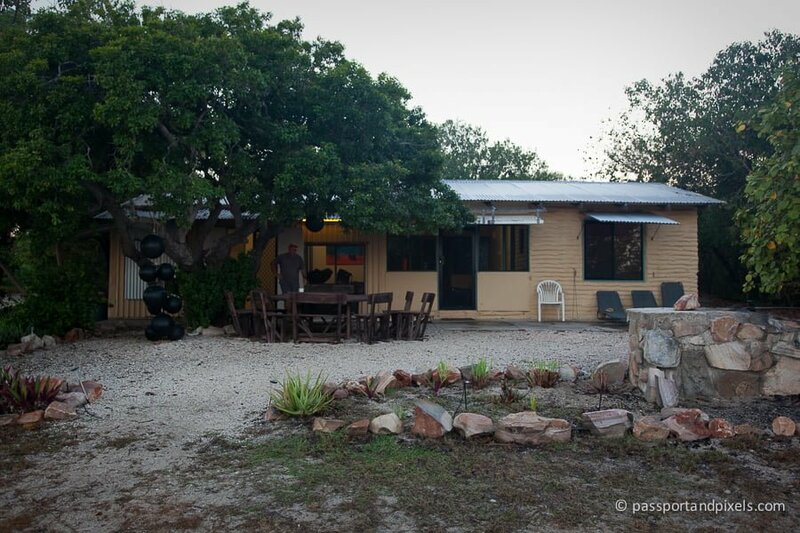 We spent the night staying in the pearl farm’s guest accommodation – our own ‘Divers Quarters’. 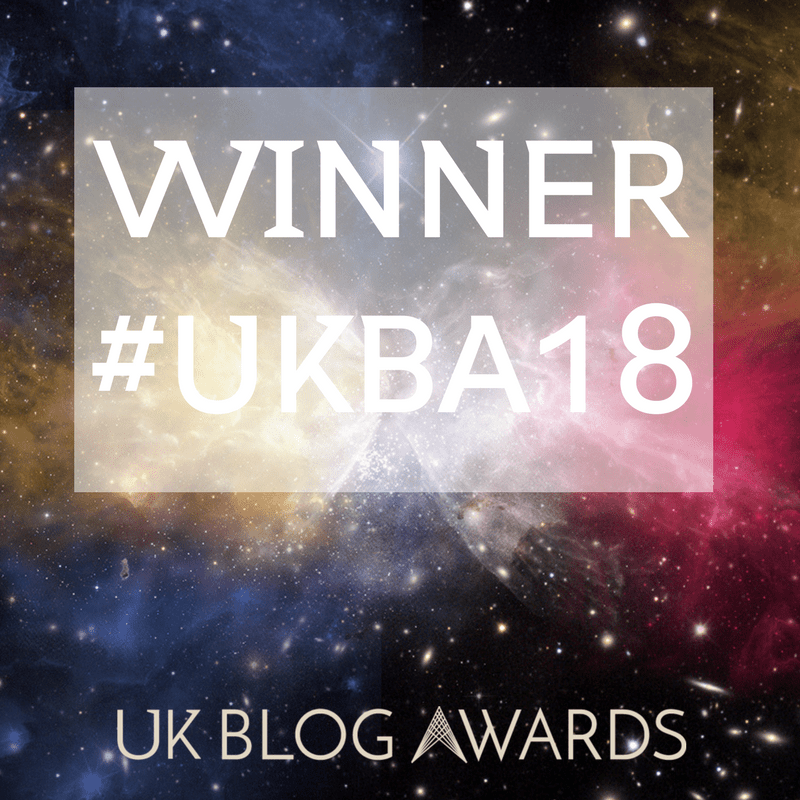 It was pretty basic, with all six of the crew sharing one bathroom, but it was completely in keeping with the surroundings and we were so happy to be there we didn’t mind in the slightest. The next morning it was time for the main event: finding out how the pearls are actually grown. Of course, as you know by now, it all starts with an oyster. And here they are. This is the Pinctada Maxima, or South Sea Pearl oyster. It’s the largest pearl oyster in the world – growing up to the size of a dinner plate – and it’s famed for producing huge, gorgeous white, silver, champagne, or gold coloured South Sea Pearls. In the wild, a pearl is what happens when a small irritant, such as a microscopic intruder or parasite, gets inside the oyster shell. To get rid of the irritant, the animal coats it in layer upon layer of nacre, also known as mother of pearl – a hard coating made of calcium carbonate which is also what the inside of their shells is made of. Over time, the layers build up to form a pearl. Naturally-occurring wild pearls are hardly ever perfectly round, and are extremely rare: only about 1 in 10,000 wild oysters contains a pearl. And that’s why, centuries ago, pearls were so prized and so expensive. Then, about 100 years ago, some bright spark realised you could trick the oyster into reproducing the same behaviour by deliberately inserting an irritant. And the pearl farming industry was born. So here’s how they do it. 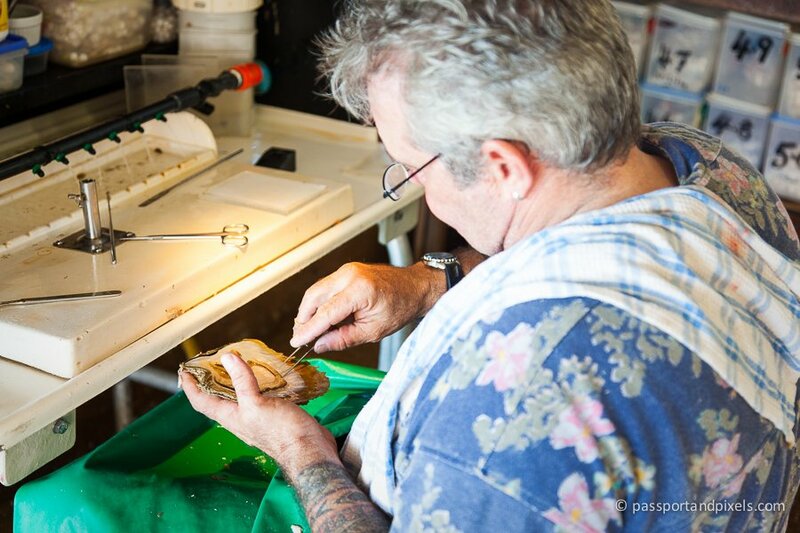 This guy is cutting a tiny piece of tissue from a donor oyster. This is an oyster that has previously been used to grow pearls and has come to the end of its life. 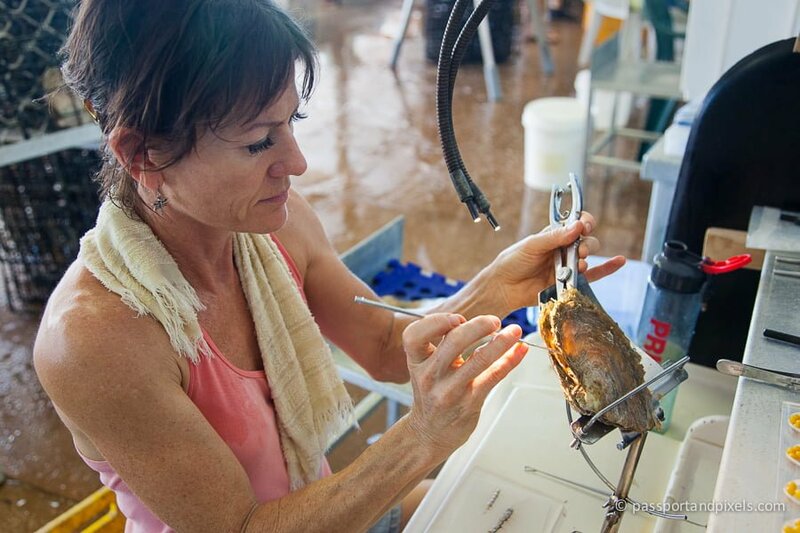 The tiny piece of tissue is then grafted into the recipient oyster, causing a pearl sac to form. 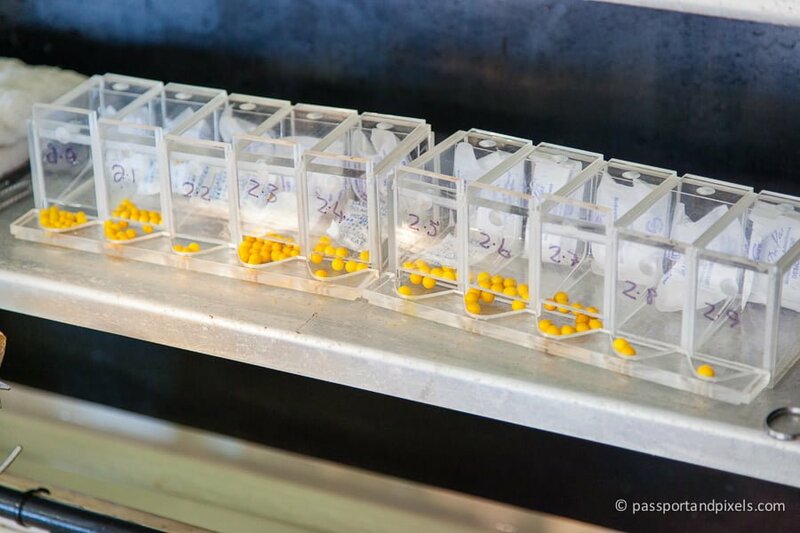 To make sure the pearl is that perfectly round shape that is so prized, a small plastic bead is added. This forms a nucleus around which the pearl will form. Bigger oysters can take a bigger nucleus, which will result in a bigger (and more valuable) pearl. 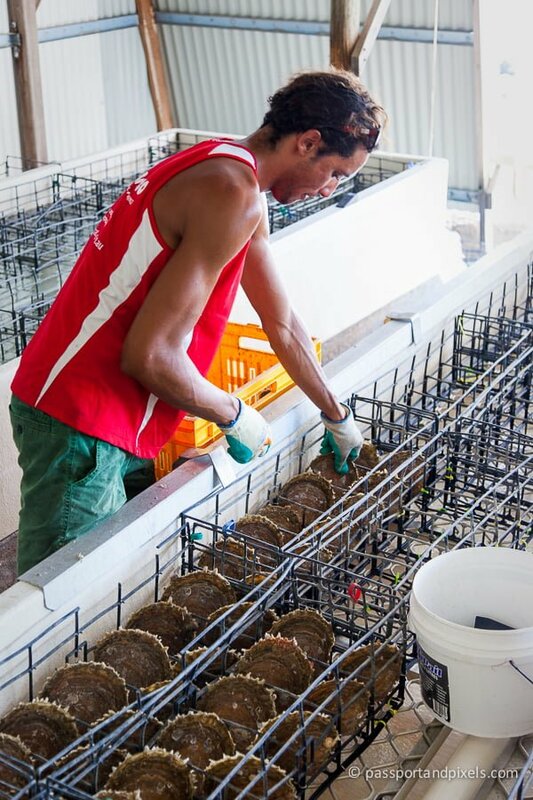 Then, the ‘seeded’ oysters are put back in their racks and put back out into the sea, ready to begin the work of growing beautiful Australian South Sea pearls. It takes two to three years for the pearls to grow. 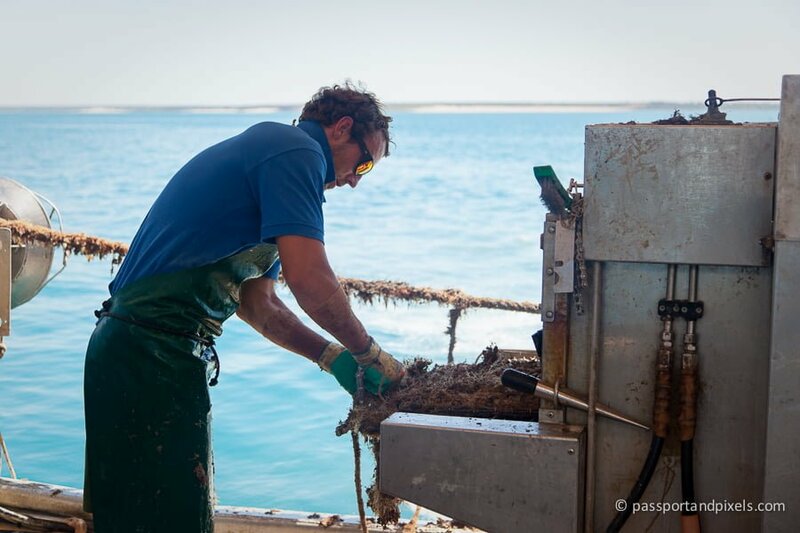 During that time, the racks have to be regularly cleaned of all the seaweed and marine life that starts growing on them. When that happens, the oysters can’t feed and grow as well as they should. So it’s the job of the guys on this boat to make sure they’re kept in tip top condition. After two or three years, it’s time to retrieve the pearls. The racks are collected from the sea and brought into the harvesting shed. 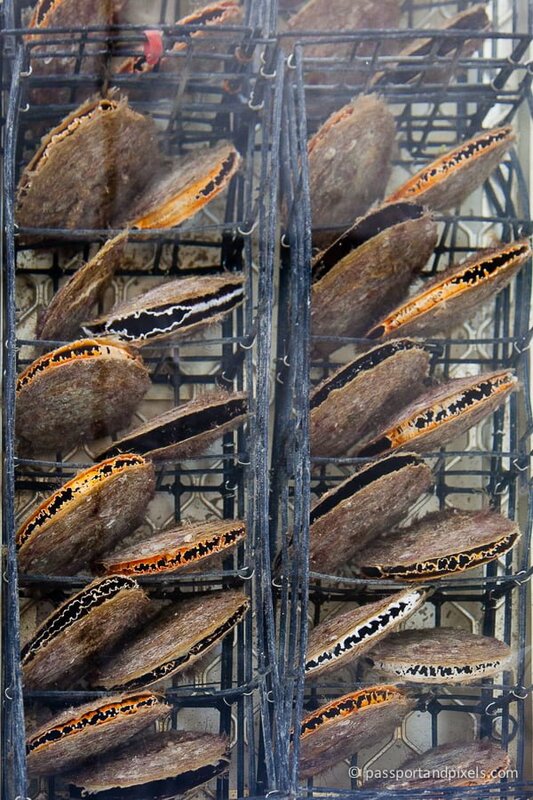 The oysters are removed from their racks and placed in baskets. A quick check with a torch shows whether there’s a pearl inside. The baskets are placed in these tanks and bathed in seawater, which flows over them like the tide. This encourages the oysters to relax and start filter feeding. See how they’ve opened up? These guys are just happy as, um, a clam. A clam named Larry, of course. When they’re ready, it’s time to retrieve the pearl. 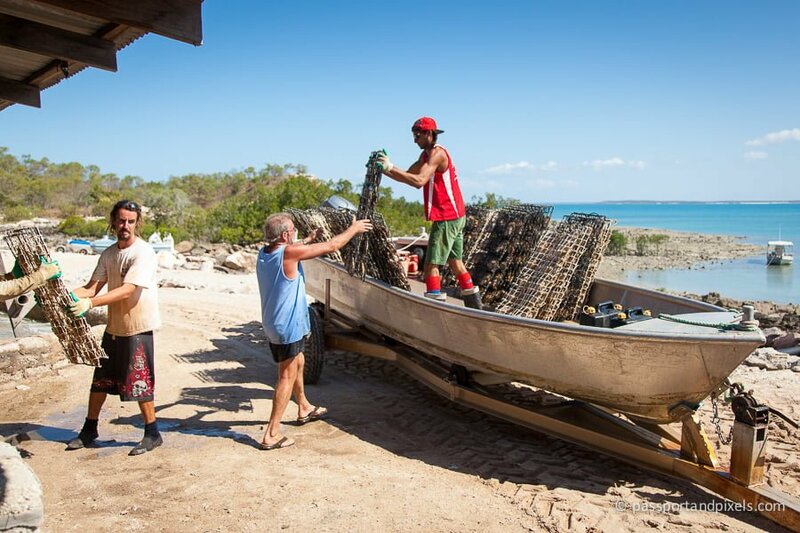 This is Billy, one of Cygnet Bay’s expert pearl harvesters. You need a surgeon’s skill and a steady hand to be able to remove the pearl without hurting the oyster. 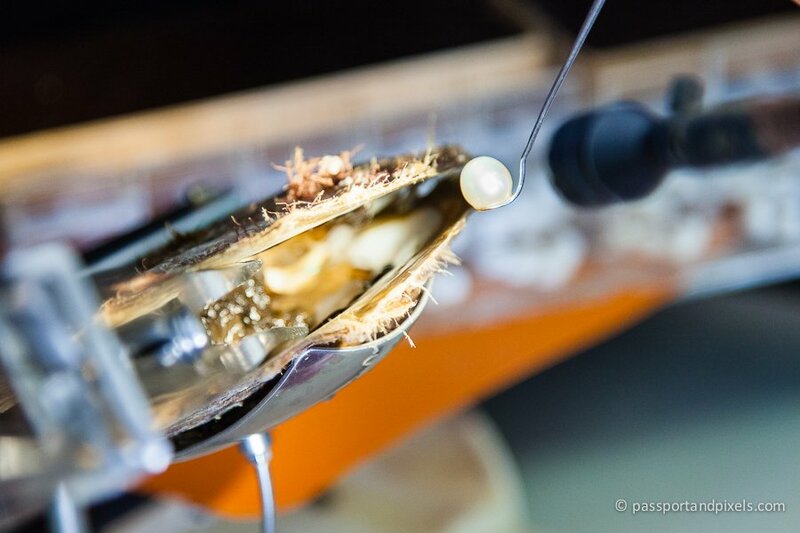 Billy props the shell open and uses a scalpel to very gently slice open the pearl sac and pop the pearl out. Once the pearl is out, another nucleus can be put in and the process starts again. 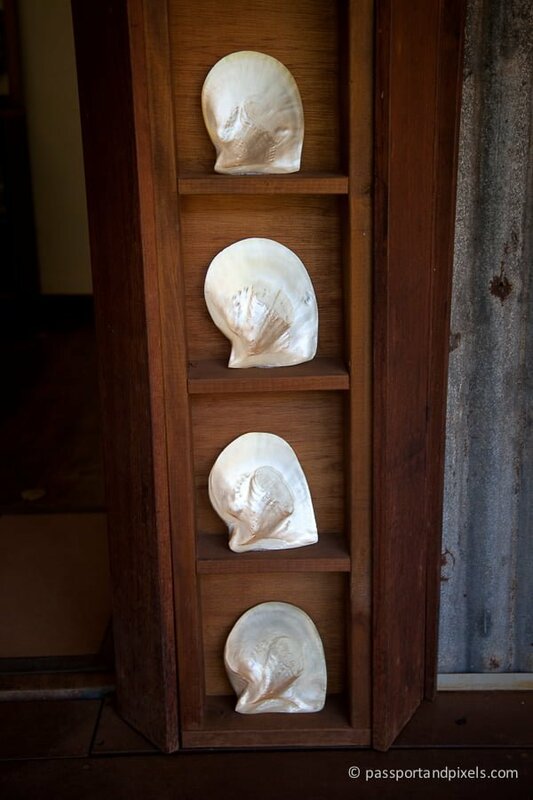 Each oyster can grow 3-4 gorgeous South Sea pearls in its lifetime. Some of you might be wondering whether all this is cruel to the oysters. Should we really be exploiting live animals in this way for our own vanity? Opinions will of course differ on this, and many people feel that we shouldn’t, and won’t buy or wear pearls as a result. If you do want to wear them though, you can rest assured that oysters don’t have a central nervous system, so they don’t feel any pain. Of course, you don’t have to buy any pearls. 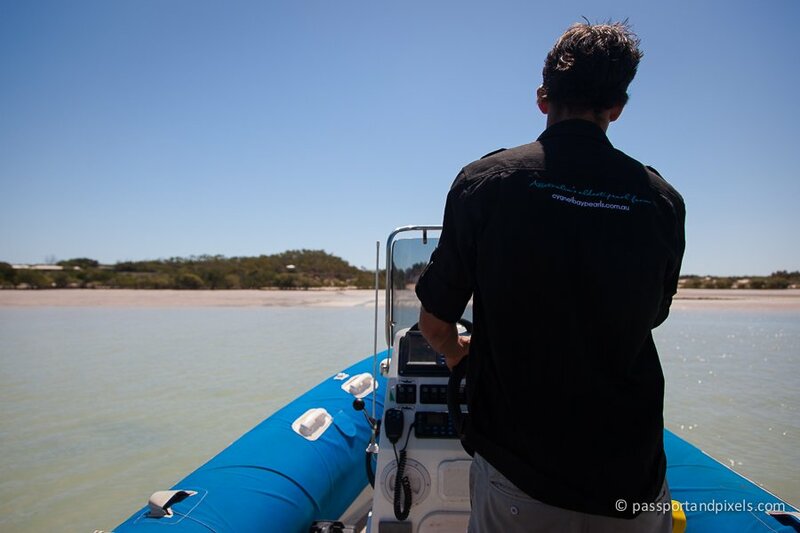 You could just visit Cygnet Bay for the fantastic Australian scenery, glorious weather, and warm welcome. You can stay the night, and they run loads of different tours and trips too. 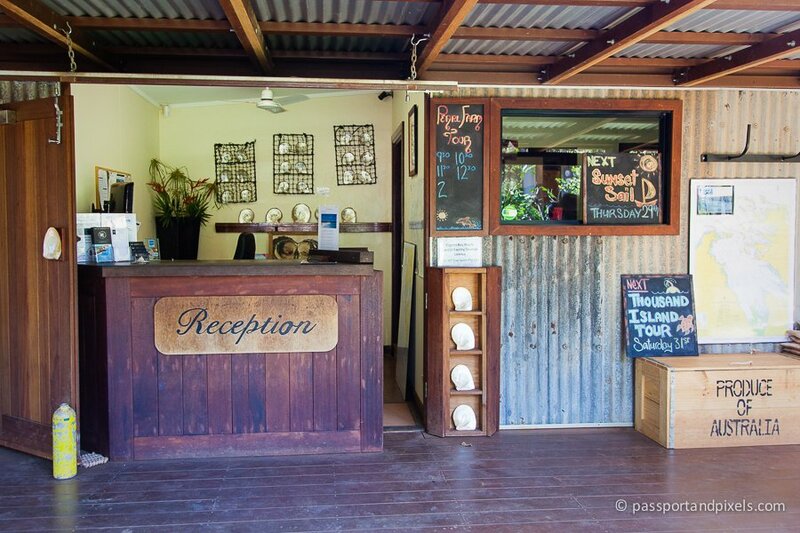 Find out everything you need to know at www.cygnetbaypearlfarm.com.au. And if you’d like to see the film we made, it’s here, courtesy of our lovely cameraman Julius. To read about what else we got up to on our amazing Australian filming trip, check out Digging for Opals In Coober Pedy. Or if you’d like more behind-the-scenes stuff from other places, why not try one of my Unhelpful Guides? Great post with stunning photography!! Thanks for sharing it.